A shopping mall built on historic ground and in the middle of a sprawling shopping mecca that is Divisoria, Tutuban Center is an air-conditioned version of stalls selling cheap goods particularly clothes (RTWs et al) and textiles. Located in the district of Tondo, Manila, Tutuban was named as such because it used to be a production center of tuba, a fermented drink made from coconut or nipa palm. 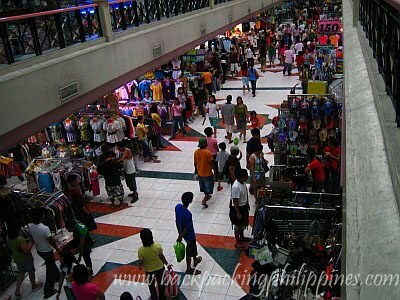 I agree that its best to go to Divisoria commuting. We go there via LRT purple line from Katipunan Station then take a jeep from Recto Station going to Divisoria. We've learned though that its best to pack all your shopping loot in one big bag or box them up before taking the LRT since we were refused by officers at the Recto station when we had multiple shopping bags. 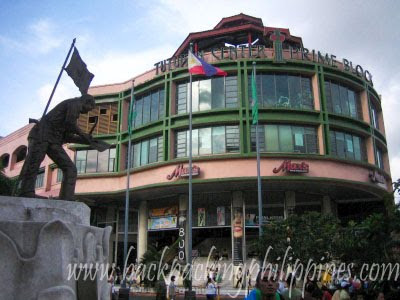 been to Tutuban the past years to buy Christmas gifts. it's the crowd i can't stand and the effort of looking for parking areas! how to commute to 168 shopping mall from the Riviera Mansion,Malate?? traveler on foot, yes, thanks for the reminder. LRT turns back passengers with lots of baggage. The insides of shopping malls usually look alike. I like the outside of this one! 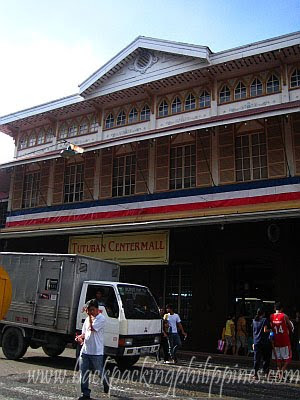 Wow..dun pala galing ang name ng Tutuban. never knew about this before - tks for the info. Looks much cleaner and with the aircondition and comfort, a few more bucks compared to the stalls outside won't hurt IMO. Hello. Great site... I´m very impressed. I was just looking at your shopping guide and I´m going to Manila in the middle of January. I was wondering if you have any information about where I can buy a beginners guitar? daniel, if you're looking for a guitar, proceed to Sta. Mesa at the corner of V. Mapa and Magsaysay Boulevard near SM Sta. Mesa (Centerpoint)...lots of shops there selling musical instruments. you can also try shops on Raon (Gonzalo Puyat St in Quiapo). For other items, you may refer to mymanila shopping guide post. alternatively, wait for mall sale to buy your guitar at local shopping malls. would like to know if there are any budget hotels or pension houses near divisoria... can anyone help me with this. i'm new to the place and would like to visit.tnx. Hello, great job for this site.. very helpful info you got here. Hope you dont mind me asking if you know a place in tutuban that sell a fabric/textile and other accessories like glass beads and stuff for sewing for a cheaper price ( wholesale price). I am going there in august and i dont know where to start. thanks.